Superdry men’s Hero leather racer jacket. 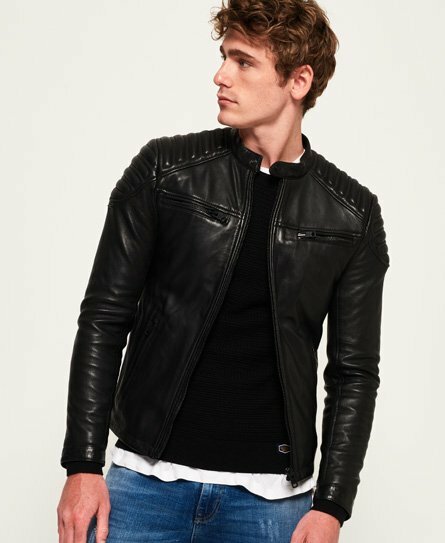 This premium leather jacket features a front zip fastening with popper fastened collar detailing, four front zip fastened pockets and zip cuffs. The Hero leather racer jacket also features padded shoulders, a slightly quilted lining and a single internal pocket. The leather racer jacket is finished with a subtle metal Superdry logo badge on the sleeve.